A 10-month excavation along the Rhine, near the town of Krefeld in the western side of Germany (North Rhine-Westphalia) had revealed an assortment of ancient Roman objects, with their numbers ranging in thousands. The incredible breadth of the discovery included Roman ruins, coins, weapons, horse skeletons, jewelry, helmets and even an exquisite belt buckle – all spread over a span of 75 cubic m (2,700 cu ft). And quite intriguingly, beyond their archaeological value, these relics hark back to the bloody encounter between the Romans and the Batavians, in circa 69 AD. This Battle of Gelduba was borne by the uprising of the Batavians (Batavi) and resulted in a rare heavy Roman defeat at the hands of the Germanic insurgents. 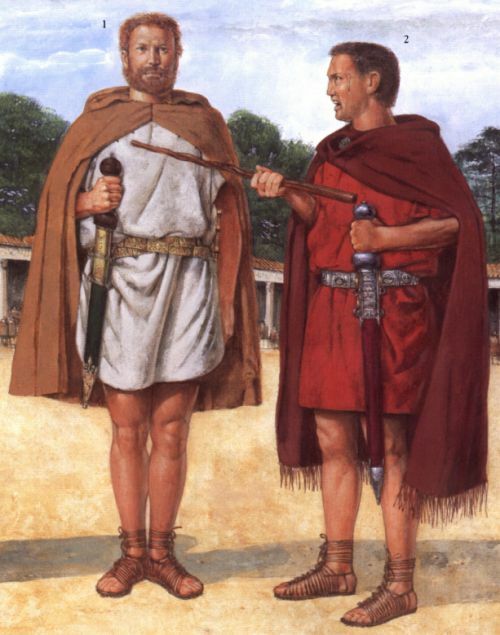 Now in terms of the history of the Roman Empire, the Batavians played a significant military role when it came to supplying hardened warriors to the Roman army. In fact, one of the elite units of the army – known as the Germani Corporis Custodes, were drawn from Germania, especially from the Batavian and Ubii tribes residing in Lower Rhine. 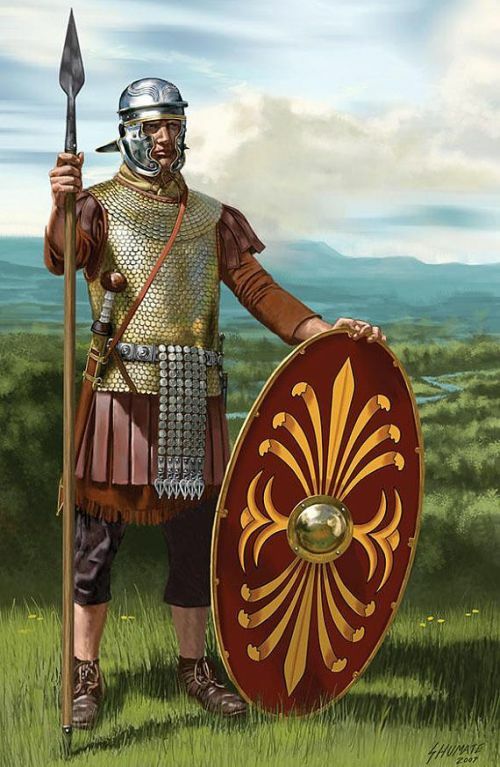 These custodes (guards) acted as a private paramilitary force of-sorts, who were directly loyal to the Emperor and his close generals (without much political affiliation) – thus mirroring the Varangian Guards of the later Eastern Roman Empire. Unfortunately for the Romans, in circa 69 AD, the governor of Germania Inferior possibly played a suspicious role in trumping up charges against one Gaius Julius Civilis, a popular Batavian prince, who was then brought in chains to Rome. And while he was acquitted because of the untimely death of Emperor Nero, the succeeding ruler Galba unceremoniously disbanded the bodyguard unit. This political ‘insult’ was used as a pretext by Civilis to stir up unrest, which ultimately took the form of a full-fledged rebellion that included not only the Batavians but also the neighboring Canninefates and Frisians. Civilis turned to force and organized the Canninefates, the Frisians, and the Batavians, each tribe in a troop by itself: the Roman line was drawn up to oppose them not far from the Rhine, and the vessels which had been brought here after the burning of the forts were turned to front the foe. The battle had not lasted long when a cohort of the Tungri transferred its standards to Civilis, and the Roman soldiers, demoralized by this sudden betrayal, were cut down by allies and foes alike. There was the same treachery also on the part of the fleet: some of the rowers, being Batavians, by pretending a lack of skill interfered with the sailors and combatants; presently they began to row in the opposite direction and bring the sterns to the bank on which the enemy stood; finally, they killed such of the helmsmen and centurions as did not take their view, until the entire fleet of twenty-four vessels either went over to the enemy or was captured. This victory was glorious for the enemy at the moment and useful for the future. They gained arms and boats which they needed, and were greatly extolled as liberators throughout the German and Gallic provinces. Reverting to the excavation in question here, the archaeologists were able to cover an impressive 10 acres in area. The resultant finds included a startling 6,500 graves dated from circa 800 BC to 800 AD, along with the remains of 300 horses – possibly dated from the time of the aforementioned battle. 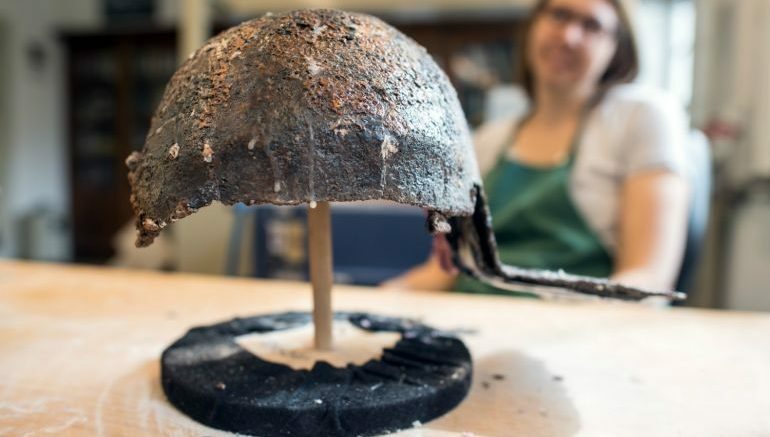 Many of these important discoveries, like Roman legionary helmets, Iron Age urns, a Roman bronze workshop or even the reconstruction of a large pottery kiln, will be exhibited at the Burg Linn Museum from October of 2019.